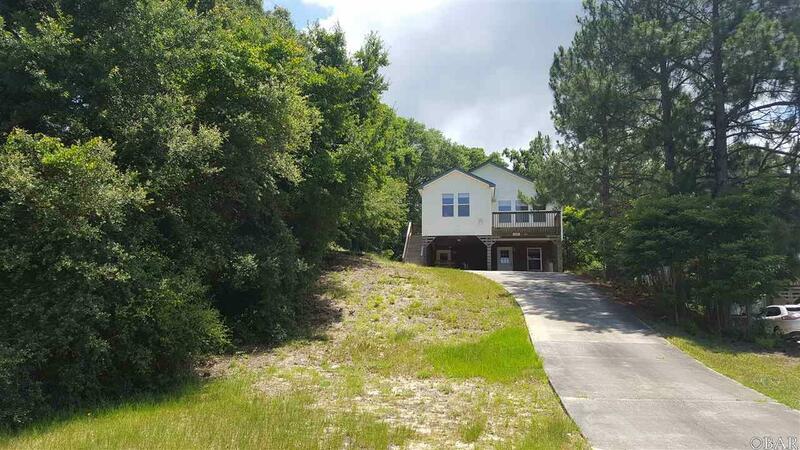 This is one of the best priced 4 Bedroom 3 Bath homes that you will find on the Outer Banks that is Move In Ready! Plus it has water views from the Living Room, Dining Room, and the Sun Deck. This home faces west so there are sunset views over the water almost daily. The ground level Guest Suite features 2 bedrooms, one bath, utility area, and living room, as well as it's own HVAC system. So consider the uses for this heated living space! The first floor features 2 bedrooms and 2 baths. The recent upgrades to this home include: The septic system was upgraded for the additional guest suite bedrooms in 2009. The HVAC systems have been replaced. The hot water heater has been replaced. The homeowners have paid attention to detail and have lovingly cared for this home. Plus the added bonus of being in an X flood zone means no flood insurance needed and no worries about any flooding near or in this home! This property is located in a gated boating waterfront community with numerous amenities to enjoy! Clubhouse, Outdoor Pool, Tennis Court, Basketball Court, Park, Playground, Soundside Beach with Bath House, Marina, and Boat Launch. Listing courtesy of Dawn Marie Butcher of Coldwell Banker Seaside Realty.